Shares of Dr Reddy’s Laboratories rose 5 per cent to Rs 2,690 apiece on the National Stock Exchange (NSE) in early morning trade as the company’s Duvvada plant got a VAI (Voluntary Action Indicated) status from USFDA, received EIR (Establishment Inspection Report) for Duvvada facility from the regulator. “We have received a written communication from the US Food and Drug Administration (USFDA), about the issuance of Establishment Inspection Report (EIR) for FTO VII, our formulations manufacturing facility at Duvvada, Visakhapatnam,” Dr Reddy’s said in a regulatory filing on Saturday, February 16, 2019. This site was included in the warning letter received from the USFDA in November 2015. Subsequently, the site was audited by USFDA in March 2017 for which we received EIR in November, 2017, wherein the site's status remained unchanged. The site was again audited in October, 2018. Based on our responses and follow up actions, the US FDA has concluded that this inspection is "closed" and has determined the inspection classification of this facility as Voluntary Action Initiated (VAi), it added. This is the second plant to come out of the warning letter after multiple inspections conducted by the US drug regulator. In June 2017 the API facility in Miryalaguda was issued EIR, clearing the facility from all the compliance issues. With the today’s gain, the stock of Dr Reddy’s has recovered 44 per cent from its Friday’s intra-day low touched on the NSE. The stock hit a 52-week low of Rs 1,873, tanked 30 per cent on February 15, after Form 483 citing 11 observations by USFDA on February 8 on the company's Bachupally plant in Hyderabad pointed to 4 repeat observations. The key negative are the 4 repeat observations (surprising as #Obs 4 and 7 are easily addressable), 1 of which was a repeat from both 2015 and 2017 inspections. In a nutshell, none are remotely related to data integrity and most observations point to lack of employee training, improvement needed in CAPA and documentation. “However, unlike the observations received by Alkem in Daman and Alembic Pharma in Panelav formulation plants, the remediation may take slightly longer than 6 months considering that some of the remediation work may take longer than 6 months, and there is likely to be re-inspection before Bachupally gets an EIR given the serious nature of #Obs 5, 6 an 10,” analysts at Antique Stock Broking said in company update. 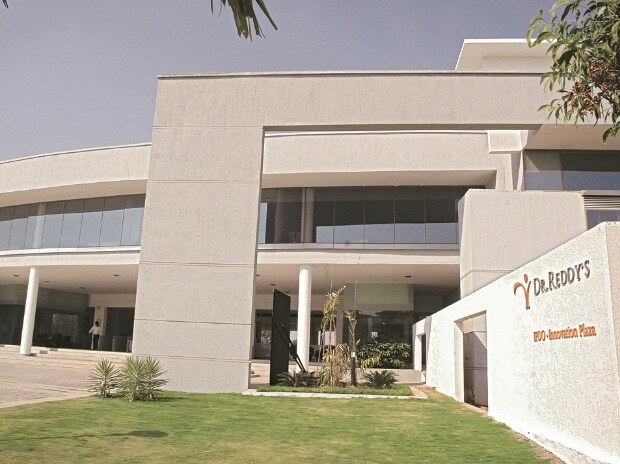 On the positive side, Dr.Reddy's move to de-risk revenue from this plant (around 40-50 per cent US contribution) which has now led to around only10-12 outstanding ANDAs from this plant is likely to limit earnings downside as all are OSD filings, most of which are already genericized, the brokerage firm said with ‘buy’ rating on the stock and target price of Rs 3,000 per share. At 10:20 am; Dr Reddy’s was trading 2.5 per cent higher at Rs 2,628 on the NSE, as compared to 0.44 per cent decline in the benchmark Nifty 50 index. A combined 924,000 shares changed hands on the counter on the NSE and BSE so far.